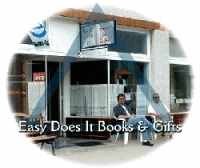 Easy Does It Books & Gifts was established on April 12, 1997 as a full service, store-front retail business. The store specializes in books and gifts geared to people involved in various 12-step programs including: AA, Al-Anon, Alateen, NA, CA, MA, OA, GA, ACA, SA, SLAA, DA, Coda, Dual Disorders, etc. The basic texts, workbooks and collateral materials are available for 24 different 12-step programs. In addition to 12-step program books, the store also carries a large selection of spiritual books as well as an ever-changing assortment of used books. Easy Does It Books and Gifts stocks a large assortment of chips, medallions, clothing, jewelry and much, much more. 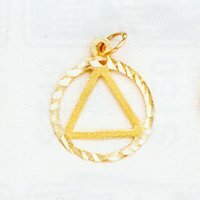 Please have a look around the site. If you have any questions, please call me at (562) 621-1042, or email me at: richard@easydoesitbooksandgifts.com. It is located 1 1/2 blocks East of Redondo, midway between Loma and Newport Avenues, on the North side of the street.